Slow motion scenes in movies are widely used for comedic or dramatic emphasis these days, but back in the early days of slow-mo it was actually a pretty advanced scientific tool. 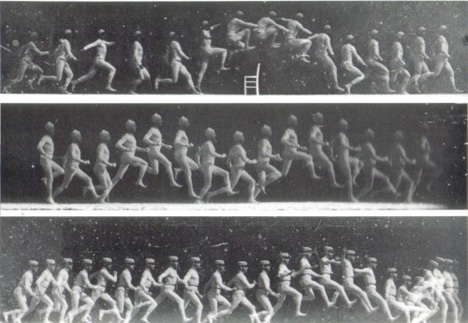 A physiologist named Etienne-Jules Marey pioneered the field of scientific slow motion photography with his revolutionary method that laid several celluloid prints atop one another to show the motion of a moving subject. Marey’s method involved using the peculiar device above, which was called a chronophotographic gun, from 1882 on. 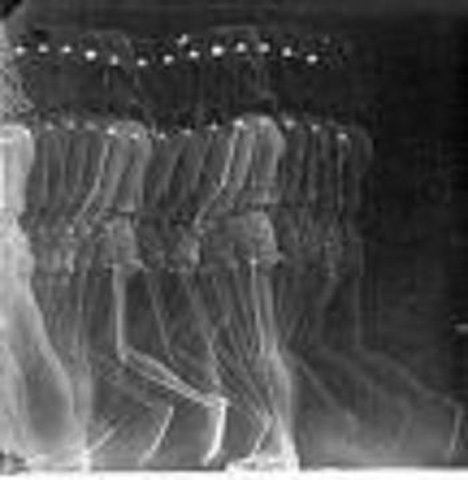 The gun recorded 12 frames per second on the same picture, resulting in a single picture that captured several phases of the subject’s movement. In this way, Marey studied the movements of humans, horses, cats, dogs, and a host of other animals and insects. For the first time, scientists were able to view the detailed movements of many different creatures. Marey’s work revealed to the world that every artistic depiction of a horse’s running before that time was inaccurate, as no one had previously been able to record the exact movements. Marey’s multi-frame photography proved that for a very brief moment, galloping horses have all four hooves off of the ground – a revelation which flew in the face of common belief. Later in his life, Marey’s attention turned toward the emerging field of cinematography. He is widely regarded as a pioneer in the field, but his chronophotography work has been all but forgotten by the public at large. Even today, with so many other methods available to us to study the locomotion of living things, these images are absolutely striking. See more in History of Tech or under Vintage & Retro. May, 2011.